Saint Agnes are the kind of band about whom you can make a reasonable guess as to what they will sound like just from a cursory glance at their social media profile. Their leather jackets, long hair and facial hair all promises a grungy rock sound and certainly, they’ve garnered some glowing write-ups for their take on that sound which is showcased here on their debut E.P. Live Under London. Kicking off with Old Bone Rattle, it’s impossible not to be reminded of Black Rebel Motorcycle Club by the scuzzy guitars and pounding drums which make way for the male-female duet of co-front pairing Kitty Austin and Jon Tufnell and for first 3 minutes or so, it’s a fun, lively rock song with some nice changes of tempo thrown in to add melody to the energy. At that point though, the song switches without warning to a protracted bluesy jam which, whilst not necessarily unpleasant on the ears, feels entirely unnatural, like a separate track that’s been forced on to the end of the preceding one. The lack of flow in Old Bone Rattle carries on in to A Beautiful Day For Murder, although once you adjust to it, this proves to be an enjoyably brooding number with Tufnell providing haunting backing to Austin’s engaging lead vocal. This vocal interplay and the accompanying tidy guitar lines combine to make A Beautiful Day For Murder arguably the strongest track on the E.P, but just as it was preceded by the largely unnecessary outro to Old Bone Rattle, the track is followed by an adventurous but ultimately un-ulfilling take on the Doors’ classic Roadhouse Blues. Disposing of the defining bass riff of the original, Saint Agnes strip the song down to a slow, sparse slog and again, whilst it’s not an awful track in its own right, it feels like the band have tried to force a square peg in to a round hole with their rendition as it just doesn’t seem to fit their style and vice versa. Things pick up for closing track Where The Lightning Strikes though. It’s a foot-stomping, rock’n’roll affair, again featuring the vocal interplay of Austin and Tufnell. 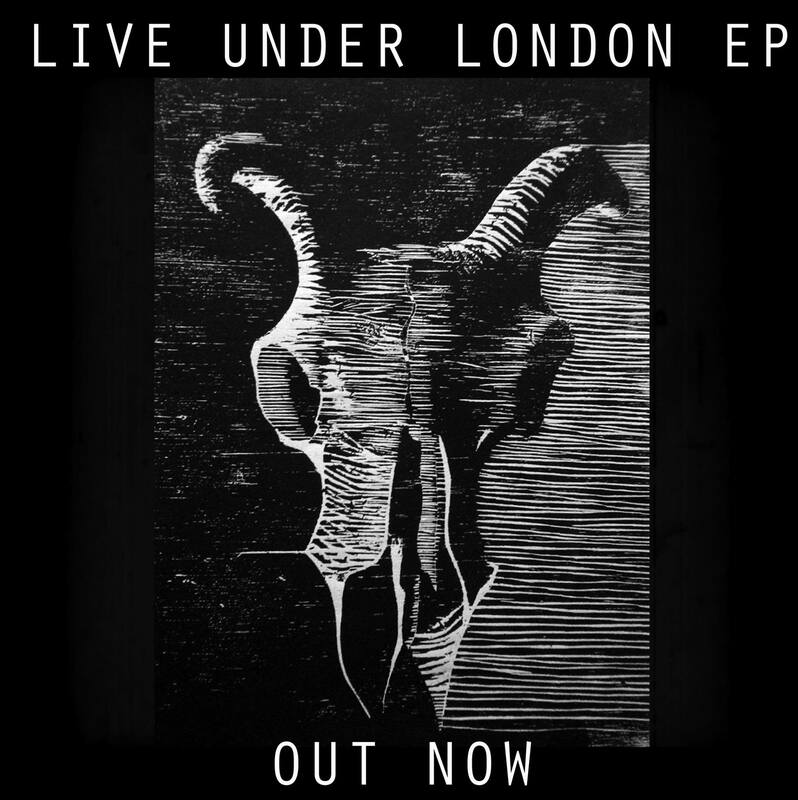 It’d be a tad unfair to say that any of the tracks on Live Under London are particularly bad in isolation, but as a collection you’re left feeling that there’s little in the way of depth or cohesion; for the latter, it’s a feeling that pervades individual songs as much as the E.P. as a whole. There’s enough here to suggest that Saint Agnes may be worth checking out on the live stage, but perhaps not much to whet the listener’s appetite for any future material from the band. Reblogged this on General Smuts.